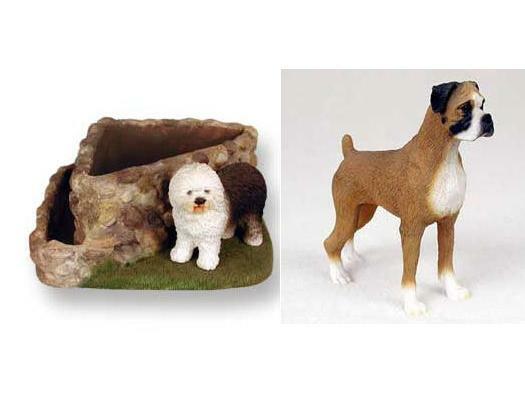 A Conversation Concepts dog figurine along side a beautiful planter. Planter is made from a cold cast stone resin material and measures approximately 7.25 inches long x 7.25 inches wide x 3.25 inches tall. Nice detail.